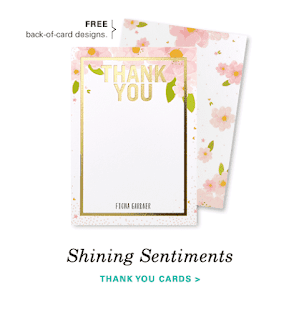 Savvy Spending: *HOT* 10 free Tiny Prints Cards plus FREE Shipping! Hurry, only through 8/14! *HOT* 10 free Tiny Prints Cards plus FREE Shipping! Hurry, only through 8/14! Now through August 14th, you can get 10 FREE cards + 20% off everything else at Tiny Prints when you use promo code 10FREE at checkout! Plus, you can use code TPFREESHIP to score FREE shipping on your order! Offer expires August 14, 2018 (11:59 P.M. PT). 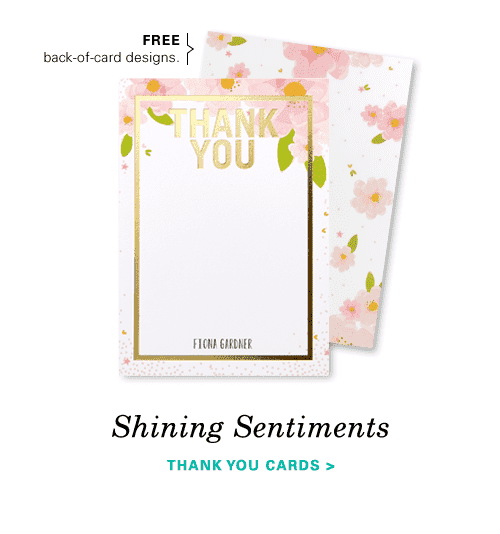 Choose 10 free Tiny Prints square trim, signature cardstock cards (5x7 flat, 5x5, 4x5, 5x7 folded, 3x5 folded, 5x7 trifold, 5x7 gatefold, foil-stamped (with a purchase of 20 foil-stamped cards) or glitter (with a purchase of 20 glitter cards) and 20% off one regular-priced Tiny Prints order through shutterfly.com/tinyprints or our mobile-friendly site. Promo can only be redeemed once per account and/or billing address. Offer cannot be combined with other code-based %-off or $-off offers. Taxes, shipping and handling may apply. Other trim, paper and envelope options may incur extra fees. Not valid on Shutterfly branded products, Wedding Paper Divas designs, other Tiny Prints products, personalized postage stamps, prepaid plans, annual savings plans, cards sent using mailing services, prior purchases and orders made on the Shutterfly apps. Offer is subject to product availability and cannot be redeemed for cash or combined with select offers or credits. Not valid for resale. We reserve the right to modify or replace any part of these terms and conditions without notice. Offer expires August 14, 2018 (11:59 P.M. PT). Offer is good for one free standard shipping on one Tiny Prints order shipped within the U.S. only through shutterfly.com/tinyprints or our mobile-friendly site. Promo can only be redeemed once per account and/or billing address. Taxes may apply. Orders with multiple recipients will receive one discount applied to the shipment with the highest shipping cost. Not valid on Shutterfly branded products, Wedding Paper Divas products, cards sent using mailing services, orders shipped to non-U.S. destinations, gift certificates, prior purchases and orders made on the Shutterfly apps. Offer cannot be redeemed for cash or combined with select offers or credits. Not valid for resale. We reserve the right to modify or replace any part of these terms and conditions without notice.